This beautiful river foreshore in our country town of Boddington. 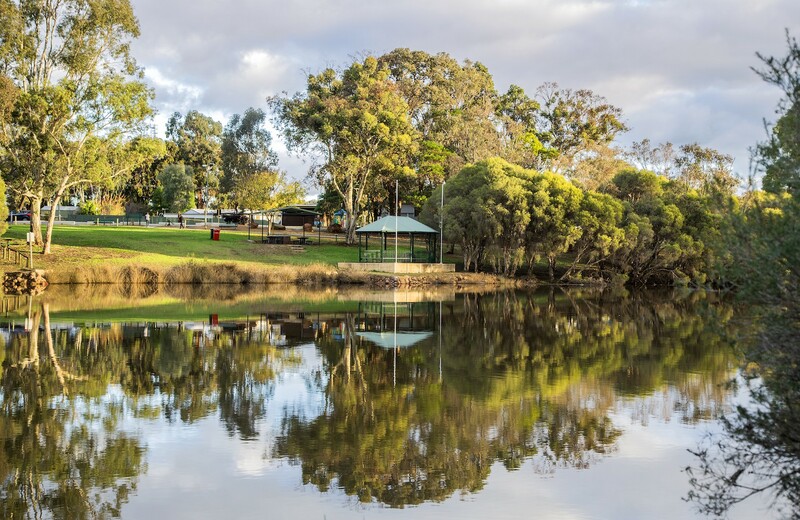 Available all year round it boasts the Lions Weir, a tranquil grassed picnic area with gazebo, and BBQs, to enjoy with friends and family. Relax amongst the natural attractions of the Hotham River with a unique fish ladder, abundant bird life, open park space and walk trails along the river banks. In summer, you are able to walk over the weir to the other side of the river and enjoy the wildlife on and around the river's edge. The Hotham River/Ranford walk trail runs easterly along the old railway alignment to nearby Ranford’s Darnmining Pool, returning to Boddington via the river bank when river levels permit.